Lau Alan of Hong Kong has won 2017 Macau Poker Cup title for over $3,265,000. 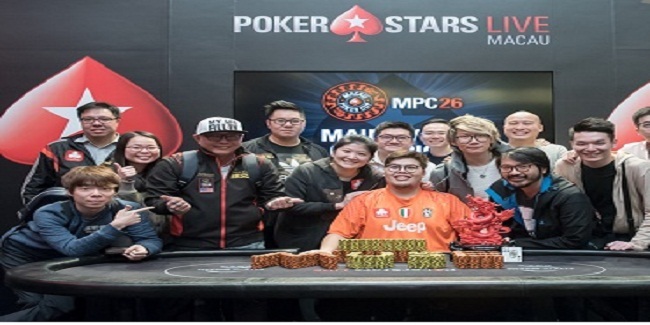 Chou Chien Fa of Taiwan becomes runner-up at this event, which was hosted by PokerStars. 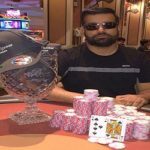 The runner-up pocketed $1,954,000 from the tournament, while third position holder was an Indian Goel Apoorva who made $1,163,000 from this prestigious title. 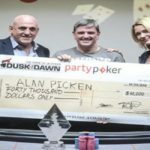 The event attracted 1,218 players including many top the poker players, but it was Alan who did the job for him and collected the trophy. 2015 Asia Player of the Year Alan Lau emerged victorious. Final table players were from countries like China, Australia, United States of America, India, Taiwan and Hong Kong. First player bustd from the final table was a Chinese Liu Jun, who made $253,720 from the championship title before getting out from the race to become title owner. Next man hit the rail was another Chinese named Zhen Chou, who pocketed $300,500 from the championship. He busted to eighth place. Australian Zhang Bobby was next man to hit the rail. 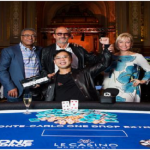 Zhang busted to seventh place for a total winning share of amount $348,000. China’s Xu Liang collected $411,500 for total sixth place, while USA’s Gerard Edwin took home $570,000 from the title for his fifth place. Zhang Yang is a PokerStars Player who busted to fourth place. Yang is from China, who made $840,000 from the title before getting out. Third and second laces were for players known as Goel Apoorva and Chou Chien Fa and they pocketed $1,163,000 and $1,954,000 respectively.